We get nice little notifications when we get a new email – why shouldn’t we get the same notifications when our snail mail is delivered? 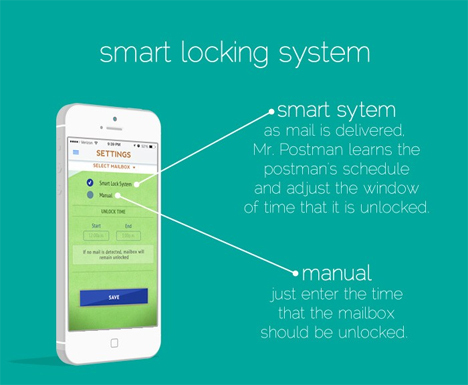 Mr. Postman is a smart mailbox that lets you know when the postman has been by with iPhone updates. 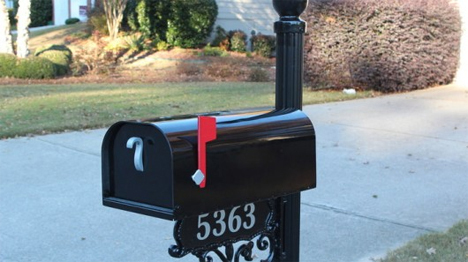 The invention also keeps your incoming and outgoing mail safe while giving you complete control over the whole home snail mail system. 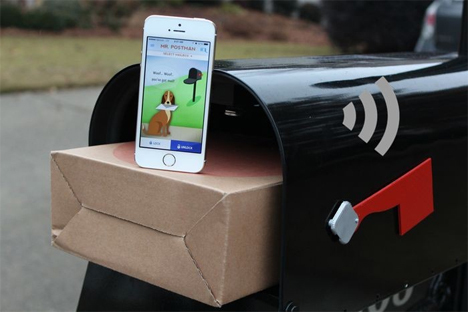 Designed by a company called Simple Elements, Mr. Postman connects to your home wi-fi network. For people whose wi-fi zone doesn’t reach all the way to the mailbox, the company also offers a long-range model. The purpose of the internet hook-up is to communicate to you when there’s something in the mailbox – and to give you the ability to lock and unlock the box whenever you wish. You can even create temporary security codes for neighbors or friends to collect your mail when you’re away on vacation. When you get a notification that the mail has been received, you can remotely lock the box to keep your mail safe from identity thieves and other mailbox-plundering miscreants. The top of the high tech mailbox is adorned with solar panels to keep it running. A back-up battery is also on board, keeping your cool mail system running even when it’s cloudy.